The hyperglycemia is defined as the excess or accumulation of glucose in the bloodstream, a condition that absolutely must not underestimate. Hence the first important to know the signs that warn us that our levels are above the recommended, 70 to 100 mg/dl on an empty stomach; and less than 140 mg/dl two hours after eating. It is considered that we are before a hyperglycemia when these values are above 130 mg/dl on an empty stomach and above 180 mg/dl after eating. A situation which, if it’s maintained, can be very harmful for health. The glucose is the amount of sugar that our body absorbs from ingested food. The type of food, lack of exercise, certain medications or stress can unbalance the levels. To be alert, here are the 12 most common symptoms of high blood sugar. Have you ever noticed more thirsty than usual? If, on having review the list of the food that you have consumed not find any suspected cause thirst, and the situation is repeated on successive days, you should consult your doctor, especially if it is accompanied by some of the following signals. It is what is known as polydipsia. It is a symptom known as polyuria, and occurs as a response of the organism that faced with an excess of glucose in blood, look for alternative ways to eliminate it, urine is one of them. If we notice a continuous feeling of fatigue, even nothing more to get up from bed, and that becomes even greater as the day progresses, it is advisable to pay also to this warning sign that something is not going well in our body. The general malaise weakens us. 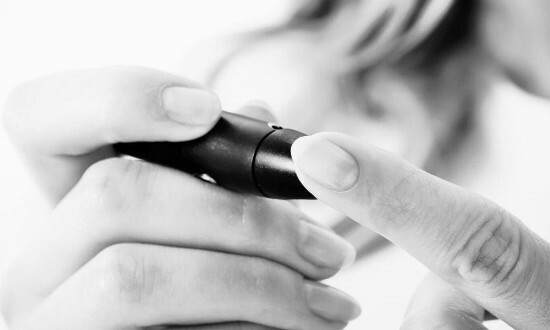 Hyperglycemia may be accompanied by tremors, sweating, dizziness and confusion. In fact, nausea considered a serious symptom of hyperglycemia. Although some people have more appetite, hyperglycemia is often accompanied by weight loss. This is due to insulin levels that prevent the production of energy from food. The high blood glucose or hyperglycemia causes alterations in the skin such as dryness or recurrent infections. Also nails and feet are more vulnerable. There are many causes that may be behind the annoying headache, but if this recurs should consult a doctor because it may be a sign of a more serious health disorder. All body cells need energy to stay active, and that includes the eyes, so it is not surprising that the blurred vision is a symptom that something is wrong, and in particular is one of the first of diabetes. This hinders the ability to concentrate. Are you eating more lately? Is it difficult to feel satiated? This is because the high glucose in blood alters its metabolism, and the difficulty of the organism to transform it into energy that feed the cells, the brain does not send to the stomach the order of which it is already satisfied. Something as ordinary as get a small wound can reveal how are our blood sugar levels if at the end of the day we noticed that it won’t heal as it should. The tingling and feeling of numbness in both hands and feet can also be a sign of hyperglycemia. To feel sleepy, even during the day, it is a symptom that something is wrong in our body, especially if it is accompanied by any of the above signals. Increased sleepiness implies greater fatigue. « Quantum Meditation: What is it?